I remember the day distinctly. The scene: 2004, Staples, pen aisle. 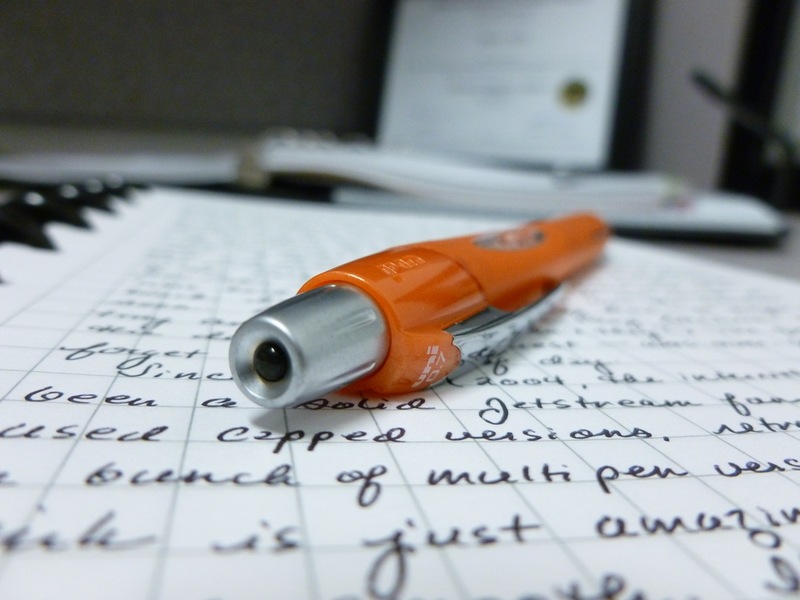 I was doing my usual pen stalking, on the look-out for anything new, intriguing, interesting, promising. 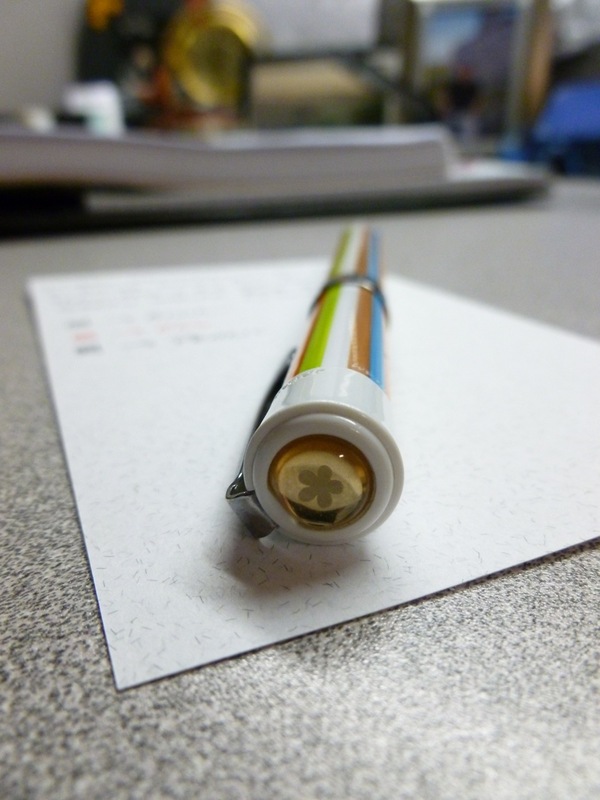 I stalk with a very critical eye as I learned long ago that you can’t trust the promises plastered on pen packaging. 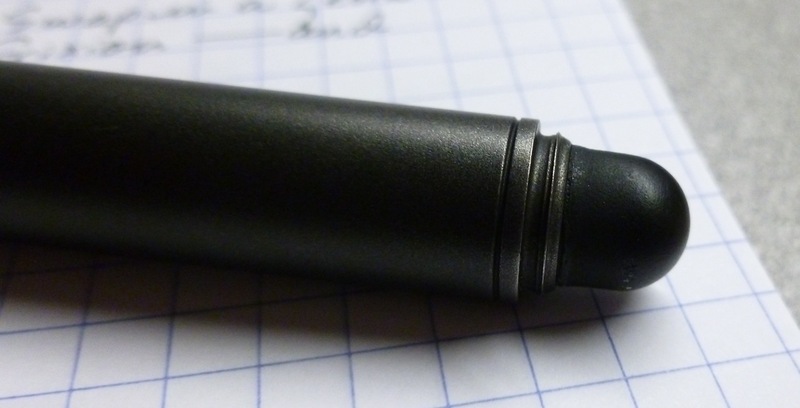 Just because the package yells, “SMOOTHEST PEN ON THE FACE OF THE EARTH,” doesn’t mean it’s true. How many times had I been sucked in by promises of dark smooth lines, only to be disappointed by “meh” performances? Too many times. Too many times. And yet, the stalking continued. This day, on an aisle end cap, I stopped. Stopped dead, and thought, “Hmmmm…what’s this? !” Maybe I even said it out loud. “Ooooo…an Uniball Jetstream…worth a shot.” I think it was a pack of Jetstream Sports that I picked up that day. Back in my car, I tore open the package and scribbled a few lines on the receipt and on the back of the package. I IMMEDIATELY knew that this pen/ink was different. No more “meh.” The ink was smooth. It was bold. It was solid. It was the blackest black I’d seen in a long time (or ever). Angels with tiny harps sang HALLELUJAH in their perfect angels voices. (Didn’t they?) The quest- the decades-long quest- was over. You don’t forget that kind of day. Since then, I’ve been a faithful Jetstream fan. I’ve purchased and used capped versions, retractable versions, and a bunch of multipen versions. The low viscosity ink is just amazingly smooth. I’ve never been without some form of Jetstream pen. 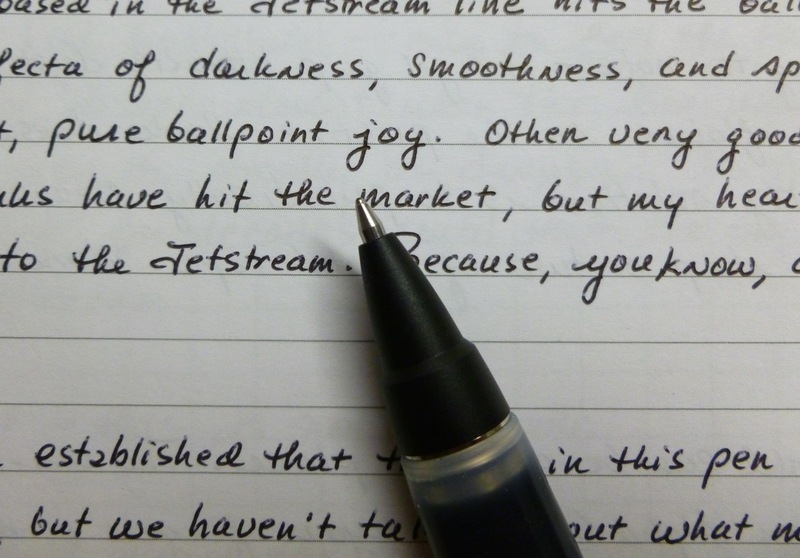 Even as I branch out into other brands, other price points, and other ink types, the Jetstream remains a “go to” pen. 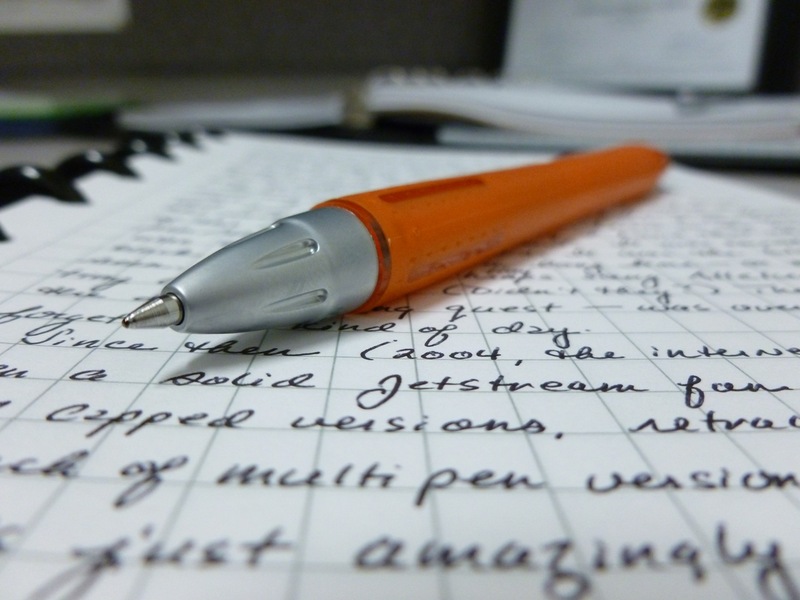 Want a superb writing experience? Grab a Jetstream. It’s that simple. 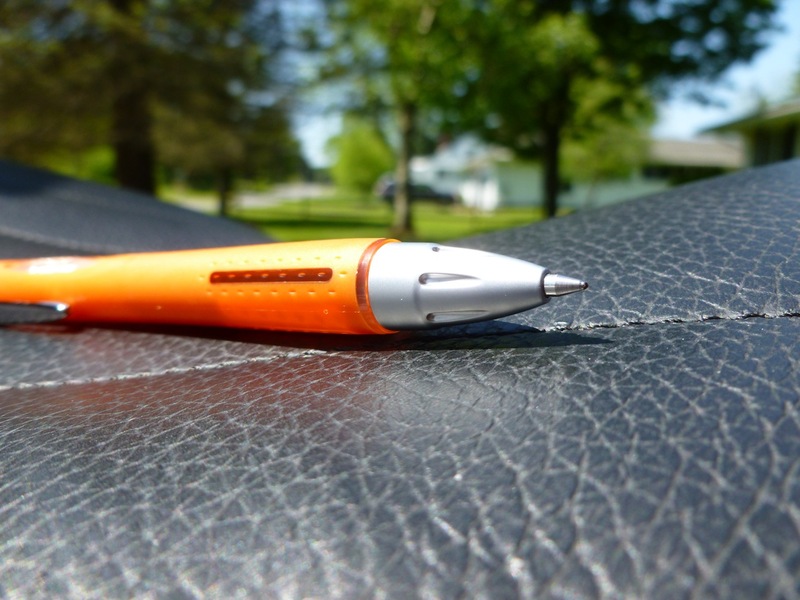 This particular model is from the Rubber Body Series (0.7 mm, orange body), purchased from JetPens, and is a current favorite. The rubber body is smooth and warm, with just a bit of grip. I like the matte finish on the knock and the…ummmm, what’s it called?…the nosecone? 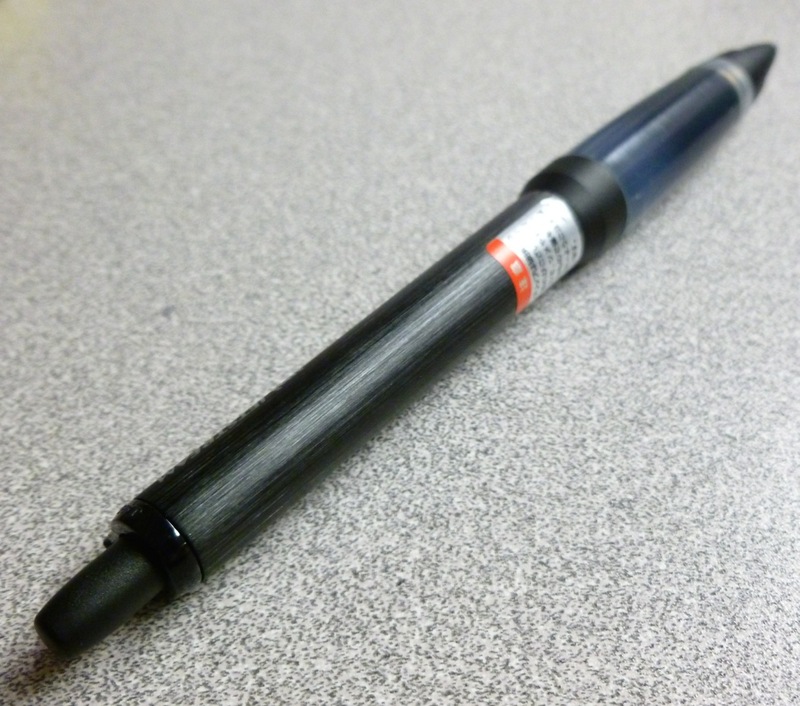 At $4.25, it’s a great pen at a great deal. You simply can’t go wrong with a Jetstream. And you REALLY can’t go wrong with a rubber body ORANGE Jetstream. Ah, yes…2004. It was a very good year. 2) The deadline for commenting is 11:59 pm Sunday May 27th. 3) The first entry will be assigned #1, the 2nd will be assigned #2, etc. You get the drift. 4) On Monday May 28th, I’ll select the winner via a random number generator, and post the result here. We’ll sort out the mailing details after that. The best part? 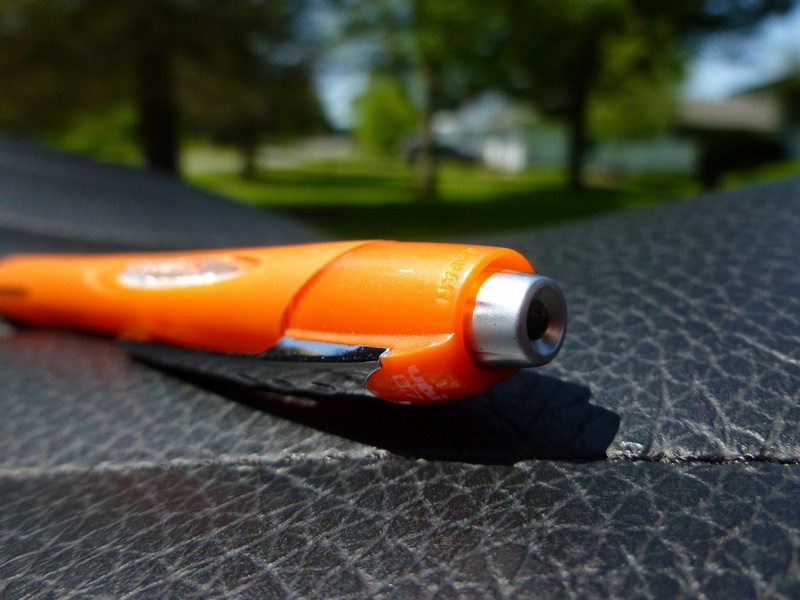 Even if you don’t win, you can pick up this awesome pen at JetPens yourself for less than the cost of a McDonald’s lunch. THAT’S a WIN-WIN situation. Sooo…multipens. Addicted. Totally addicted. Which is kind of crazy given that having one multipen should be sufficient to meet all of one’s pen needs, right? In theory, yes. 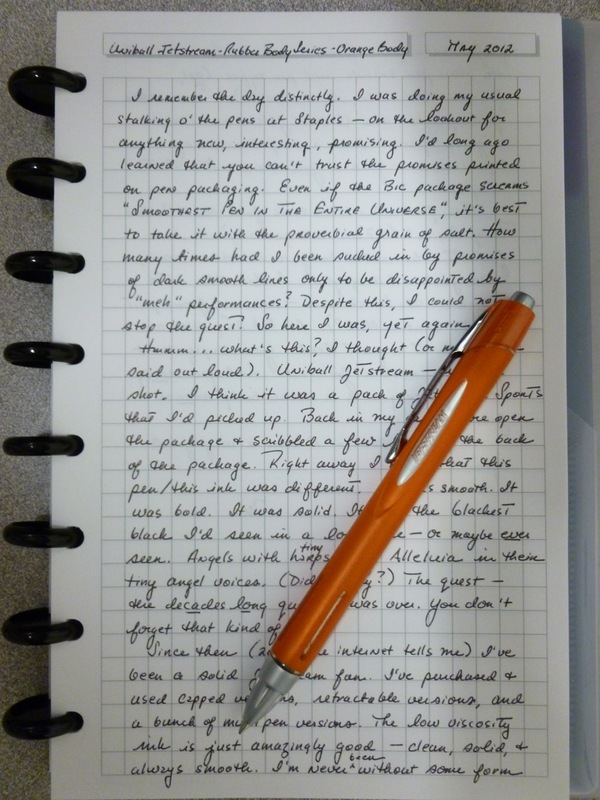 Problem is, once you try one multipen, you need to (okay, want to) try more. And more. And more. Until there are multiple multipens in your pen cup. And purse. And messenger bag. 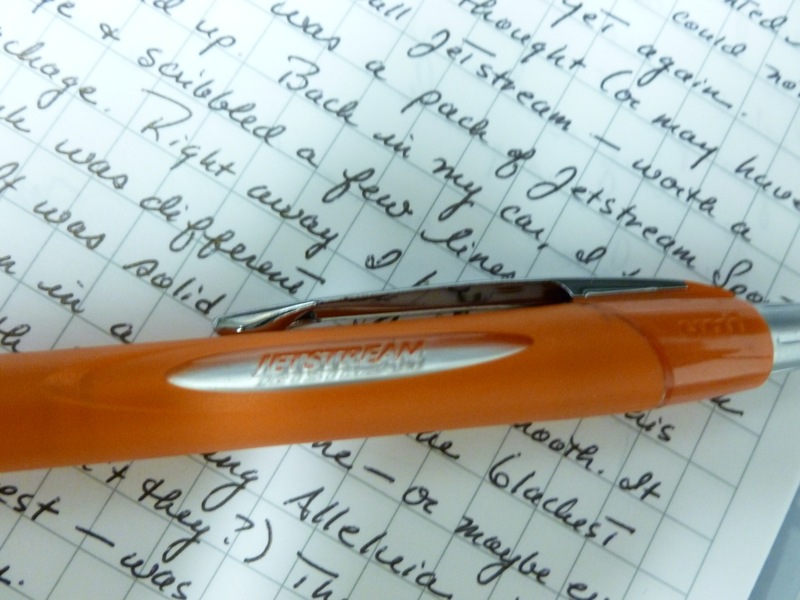 Here’s one of my favorites…one that I recently re-discovered…the Jetstream F*Series 2 Color 0.5 mm Ballpoint + 0.5 mm Pencil (quite the name!). 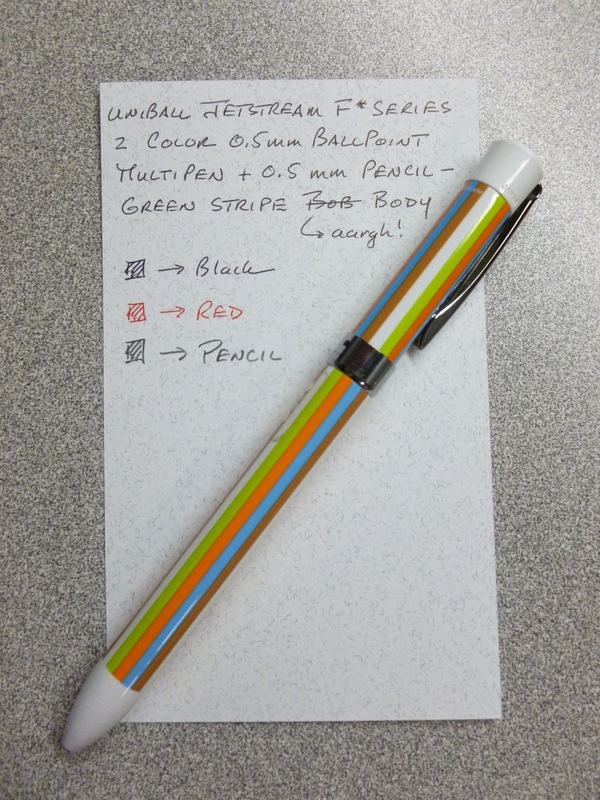 According to the description on the Jetpens website, the “F” stands for “feminine.” I don’t see this pen as being all that feminine, though I suppose the slim design, stripes, and little charm on the end could be considered more feminine than masculine. All I know is that I fell in love with the stripes and the fact that I could carry black ink, red ink, and a pencil in one pen body. 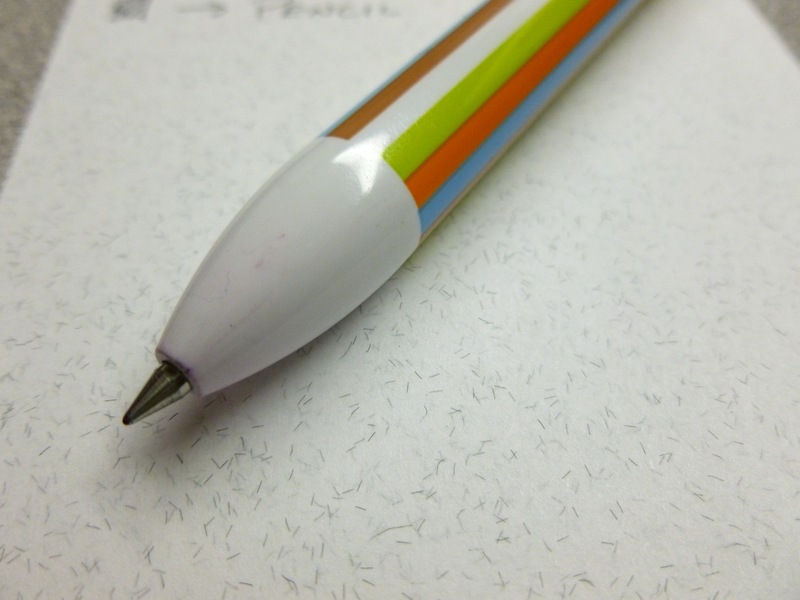 Because it’s a Jetstream, the 0.5mm line is sharp and crisp and the colors are true. Black is black and red is red. No wishy-washiness. Jetstreams, as a rule, do not disappoint. 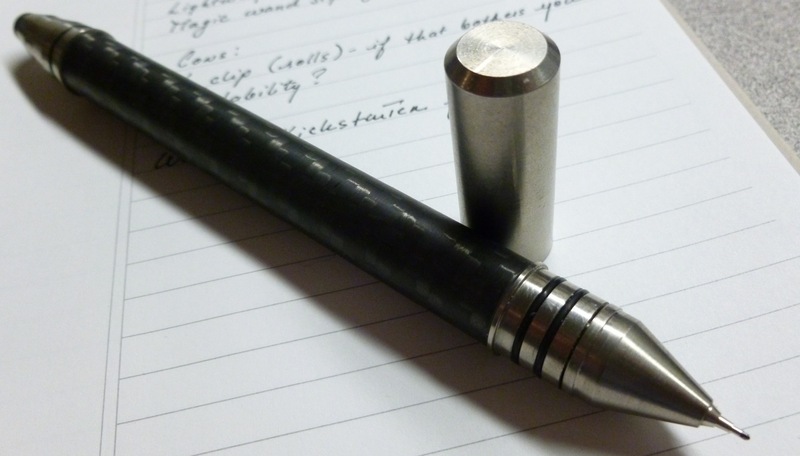 Simply twist the pen body forward or backward to rotate through the three options. 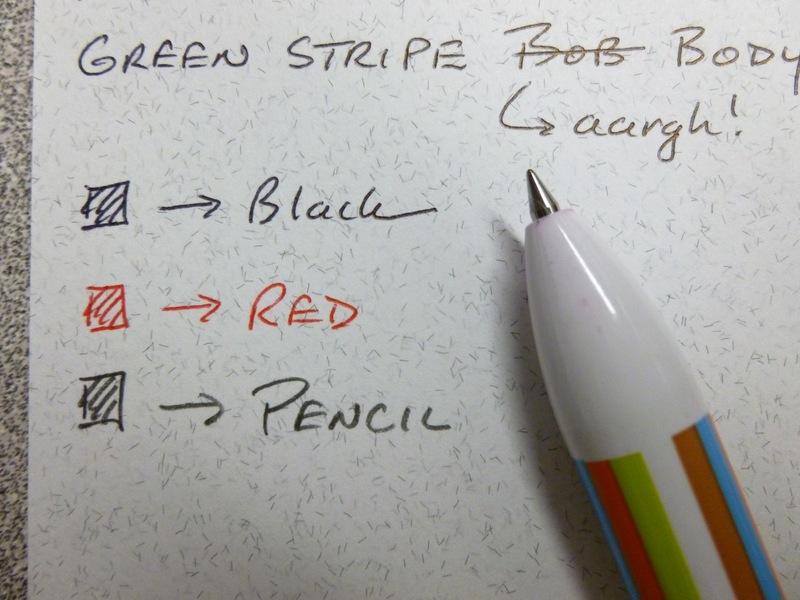 My only beef with multipens is that I sometimes forget to check which point I’ve selected, and I wind up writing in red when I want to write in black, or vice-versa. But that’s not the pen’s fault, just user error. And age. The pen tips are sharp, but smooth. Just perfect, especially if you prefer a fine line. There’s not even a HINT of scratchiness. Smoooooth. And on the end…a tiny charm. Thus the F series, I guess.